Common amongst both pyramids, however, is the recommendation to consume large quantities of carbohydrates and minimise the consumption of fats. It’s time for the Dietitians Association of Australia to get with the program and update its thinking on diabetes, saturated fat, and heart disease. 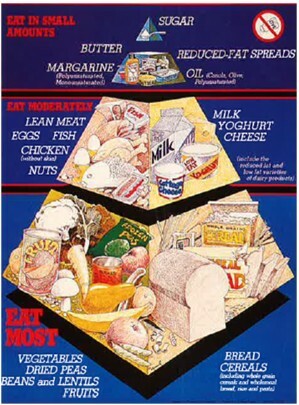 I have also frequently attacked the Australian dietary guidelines for denigrating the consumption of natural saturated fats while largely exonerating the consumption of sugar. Throughout these articles I have been attacked for peddling ‘snake oil’ and have been told not to steer out of my lane. …these carbohydrate-rich foods cause major fluctuations in blood glucose levels for people with diabetes. Patients are told to manage the flux of glucose in the blood by using medications like insulin, which come with significant side effects. A more practical approach is to limit the amount of carbs consumed in the diet and therefore reduce the dependence on high-dose medications. Unfortunately, this commonsense approach runs counter to the advice from many “dietary experts” who claim low-carb diets are a “fad”. “There is reliable evidence that lower carb eating can be safe and useful in lowering average blood glucose levels in the short term (up to 6 months). It can also help reduce body weight and help manage heart disease risk factors such as raised cholesterol and raised blood pressure,” wrote Diabetes Australia. The statement from Diabetes Australia even suggests that low carb diets may assist people with managing Type-1 diabetes. As noted in the article, the Australian Health Practitioner Regulation Agency (AHPRA) has also dropped its vexatious sanctioning of orthopaedic surgeon and low cab advocate, Dr Gary Fetke, as well as issued him an apology. Hopefully, this represents the beginning of a new era of Australian dietary guidelines based on science, evidence and natural foods, not financial arrangements with Big Food and Sugar. A stark warning to treat anything the ‘experts’ (including academics) say with extreme caution. Of course, a ‘balanced diet’ and common sense as an approach doesn’t sit comfortably with all those who need to sell dieting books and secret fat fighting formulas. Not to mention ‘supplements’, of course, which is another multi-billion dollar rort. I’ve lost count of the number of times a broadly accepted stance on a particular subject has ultimately been refuted, which is why I remain open-minded at all times. Yes, the consensus opinion on MMR vaccines is reason for suspicion in itself. This whole vaccination fad started with smallpox vaccines, but virtually nobody ever gets vaccinated against smallpox any more, a clear sign of cracks in the consensus. Smallpox was, fortunately, declared eradicated about 30 years ago. From memory a very small occurrence showed up a couple of years ago but was quickly stomped on. This is a long read, but a good one. It explains how food lobbying works in the USA, and how lobbyists and the big food and agricultural industry set up the food pyramid to sell carbohydrates, which are their main product. Why can’t American farmers, who enjoy huge government subsidies, stand up to the processed food lobby? Part of the answer lies in the economics of the food industry: the profit margins and scale of processed food makers gives them a heft that growers of healthy foods can’t match. But it is also because “Big Ag” is not in the healthy food business. American farms with lobbying power don’t grow brussel sprouts; they grow grains used to make the high fructose corn syrup in Coke, the starches in processed foods, and the oil in deep fryers. S/he who pays the piper calls the tune, the carb-sugar industrial complex has had a stranglehold on dietary science for decades. Government and media have been complicit. No – sickeningly sweet disgusting. Grow your own….eat ‘in season’…..lower your footprint….enjoy a meaningful life. or the alternative…….outsource everything, and trust the system. Sure, the marketing and labelling system is flawed in a big way but the whole problem starts inside your front door. Between your ears…actually. Oh, and by the way…did you know that if you don’t grow your own, and you ship it in, you are complicit in the strip mining of nutrients off farmland and adding to the financial stress of the farmer…via increasing input costs like fert, cides, etc… thereby guaranteeing lower quality produce each and every crop. Increases the events of salinity in soil, medical problems from increased chemical application to the crop, the cost of living, and more. I cannot see any upside in all of this. IP, spot on. But contrary to the apartment, high rise lifestyle being forced on us. In my book, it is only forced if there is no other alternative. If you try permaculture in Sydney, you will most likely be suffering from lead posioning rather than getting healthier. It depends on the situation. Soil pH plays a massive part regarding heavy metal mobilisation. If an issue…..wicking beds….compost ( berkley method ) job mostly done. The problem is between the ears for most. and the solution is ridiculously simple. ip, very off topic – do you have any experience in using or making a shoulder yoke? Our largish house block is very rocky (say, fist to bar fridge size) and very steep (anything with a wheel is useless) and we need to shift soil and rock from different sources to other spots. e.g. I’m excavations under the split-level for a workshop, extracted soil up to the top for garden beds (soil is surprisingly friable, no tests yet though) rocks to go for paths and edging in various places. Using builders buckets at the moment, size is good but a bit of a drag. – hence the yoke idea. I may have to experiment with different styles and materials. Ok…..yep, I think I can help. I am a chippie by trade but no longer wave a nailgun around. I would suggest getting yourself a drawknife and/or a spokeshave to shape some timber to suit your profile. If you have a planer you might get away with that. I suggest using pine for a trial / template and once you are satisfied with the comfort get something like tassie oak for the strength. Clean grain, no knots. Bunnings stock it in suitable sizes. I would go with 70 x 45 and shape from that. Notch the top face at the ends to take the bucket handles and maybe sling the buckets off some rope ( or some bent up booker rod/round bar ) to save the knees…..you will work it out. Shape the timber with the grain…don’t try to cut against it. Just clamp the timber to a bench or something to shape it. disclaimer… I have bought from that site once and am happy with the service. ….recommended because of that. He wraps blades for posting well. Thinking on this, I would go with just the spokeshave. Unless you have a thing for old tools…….well…then by all means, help yourself. ip, thanks so much for your thoughtful and detailed responses. Hard yakka it is, by necessity and choice – I’ve never been to a gym and get exercise with productive tasks like this. Your recommendations are much in line with my thinking – pine prototype, notches, slings – but had not thought of a more suitable tool other than a plane which I have. I think we have a spokeshave in the family somewhere, I’ll be in Townsville next week and will look through my father’s collection (this is sad, he would have loved to contribute to this, could turn his hand to anything) or possibly one in the relos old farm shed near Tolga, but no time for that this trip. Tool Exchange is wonderful, thank you, will keep in mind. So good to see tools that are decades old and still useful. More than happy to help. Glad you found the info useful. I will say that I don’t envy you….but I have done my share of damn hard days. I disagree. Low protein/fat high carb is highly inflammatory if your gut bacteria and brush border is not entirely healthy. Partially digested food could enter the body through a permeable gut and undigested complex carbs end up sitting in the intestine to ferment causing gas. This then leads to autoimmune diseases which have exploded in western society. The reason high carb vegan diets work in poorer asia is because they also consume a LOT of fermented food too along with only unrefined grains. The key is soluble fibre. I swear by it. You can buy it online (see “inulin” on eBay) or simply grow Jerusalem Artichokes, which are full of inulin, in your own garden. Soluble fibre maintains a healthy microbiome. Please do not confuse vegan and vegetarian. Vegetarian is an established pattern and can maintain a fairly good set of health outcomes (unless you are really poor). Vegan is a consumerist western fad that raises precancerous changes in the gut but is stimulating a whole new range of factory food. Vegan eliminates a whole.class of fermented foods like cheese or yoghurt. You’re both right. High carb, minimal protein, some greens (of the salad variety), and VINEGAR is what keeps this mouse happy and uninflammed (finally). After looking into why that works found​ out that one Voltaren every second day will do for your gut and bowels what a week’s worth of salad will. And it’s what the base of vinegar and Voltaren are (same family) that’s impt., Not that one is an ‘anti-inflammatory’. Still have to run and watch the diet generally though. It’s great, but not magic. No more ear infections though. Couldn’t be happier. You’ve got to be careful reading too much into animal studies. Genes play a large roll too. For some folks the diet you describe could be excellent, others could struggle. 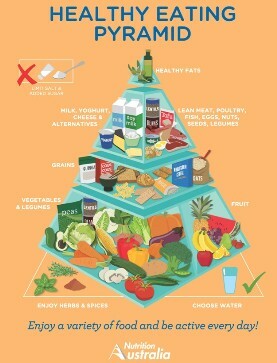 The same goes for high fat diets etc. 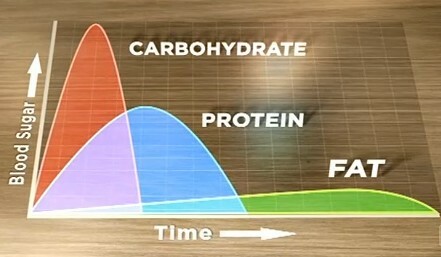 Basically, metabolic health will suffer if you eat in excess and don’t exercise – regardless of the macro breakdown. Well done Leith for pushing past the dissonance with your personal conviction. In reply to R2M – What type of carbs though? Resistant starch sounds like it might be beneficial but loading up on sugar and bread probably not. Already answered. Fiber is the key. What you are doing is good. A range of fibre types extends the diversity of the microbiome, but inulin is an excellent foundation. Bin chicken eat saber tooth? Et tu Chicken Bin stagmal? All you need to know about nutrition, plus more. Speaking from experience if you follow P.D. Mangan’s advice your health can dramatically improve. There are no shortage of academic still claiming fat is “the root of all evil” though. Don’t tell that to pacific islanders….the buggers will starve. Yes, yes. But did she ask for taxi-fare as well? Here’s an interview with Dr. Michael Mosley on intermittent fasting, high intensity training and food to make your gut happy. Lol I heard recently that the FDA was banning transfats. I still can’t believe it’s not butter.